If you've come across my blog any time in the last year, then you know that it's become a hot-spot for a growing anniversary gift idea trend: a bridal bouquet recreation in silk flowers. David's anniversary was coming up and he wanted a great gift that was going to surprise and delight his wife. He sent me an email me with some pictures of the bouquet, I found all the components, got him a quick quote and we got working! 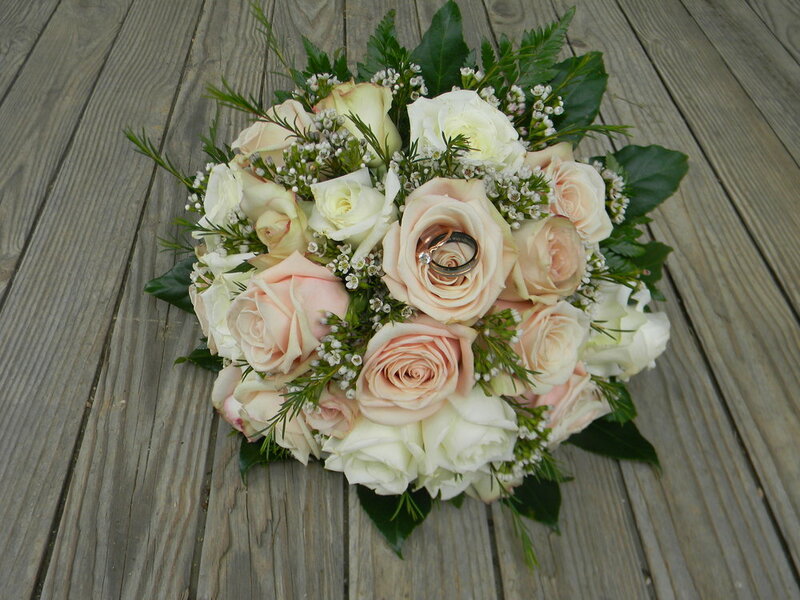 Cream and pale pink roses, white wax flower, leather fern and a collar of greens. Tied off with sheer white ribbon. 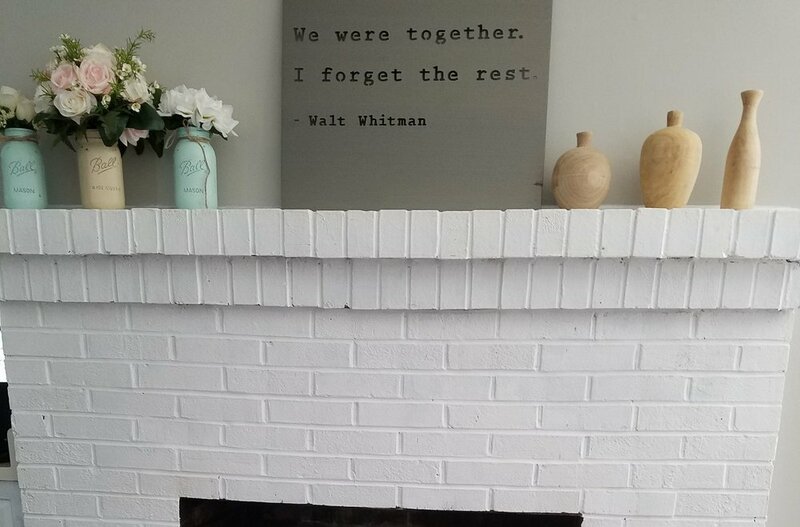 David sent me this awesome shot of the bouquet displayed on their mantel. Awesome, right? If you are looking for a great anniversary gift that none of your friends have thought of yet, a bridal bouquet recreation in silk flowers is a step in the right direction. Contact me today to find out if her bouquet can be your next anniversary gift.